It's that time of year! Sweaters, boots, and the occasional cold. Yuck, but it's just part of it. I like to give my family multi-vitamins to help boost their immune systems. I recently received Rainbow Light Power Sours Multivitamin Gummies to review with my family. Even my hubby is taking them. And they are all loving them. 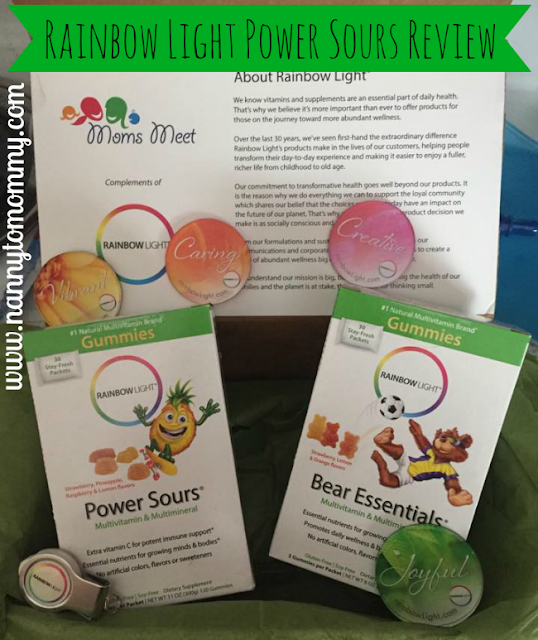 Rainbow Light vitamins are made with organic, non-GMO ingredients, which is something that I have been actively trying to select as options for myself and my family. Another thing that I like about Rainbow Light is that they use 100% up cycled plastic for their bottles, which means they keep over 10 million plastic bottles out of our landfills and waste systems! - They provide nutrition and immune support to children ages 4+. - They say to have specially formulated with clinically researched ingredients, plus an extra boost of Vitamin C to help support optimal growth & development. - They promote healthy bones, brain, and eyes, plus balanced energy! - They are available in 4 naturally fruity flavors: strawberry, lemon, orange, and pineapple. My daughter said they were "juicy" which I think means they tasted fruity? It is still hard to tell with her descriptions sometimes, but she did enjoy them. 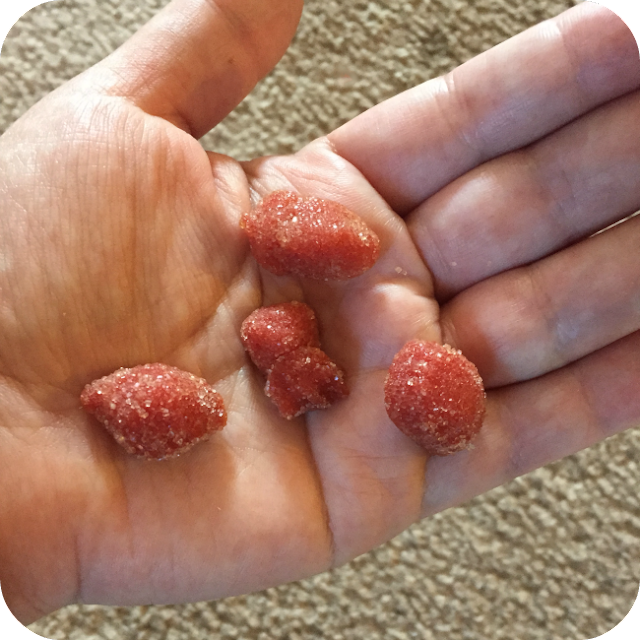 I did let my son try only one, as multiple chews come in a package. I think he liked it because although he never actually ate it, he did keep putting it in his mouth and holding on to it for later. LOL My husband enjoyed them as much as he did our old brand. But they do make multi-vitamins for adults as well. The price point per box is $17.99 which is a little on the high side for me personally, but on par with organic, non-GMO products. There is a $3 off coupon available on Hopster right now though! And you can use it in store and just enter your zip code to find a retailer near you. Make sure to follow them on Facebook and Twitter to stay up to date with product info and other fun stuff. Do you give your family multi-vitamins to boost their immune systems? What do you think of Rainbow Light Power Sours?